When I think of fall, images of brightly colored leaves and plump pumpkins immediately fill my mind’s eye. 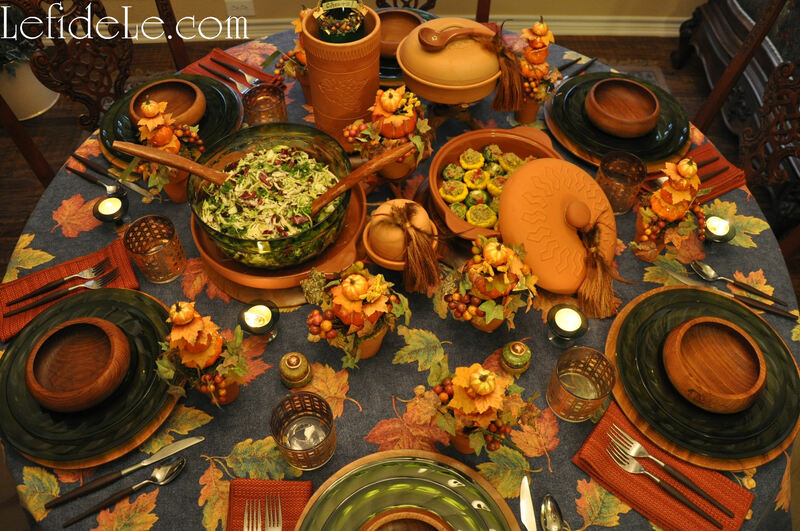 This was the initial inspiration behind this tablescape for Thanksgiving. 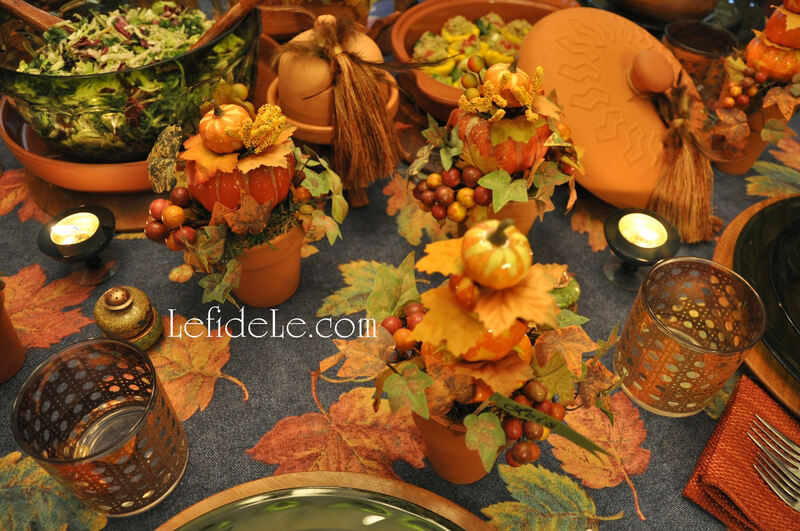 I craved more color than is typically seen in fall décor, and so added a tablecloth with a denim background. 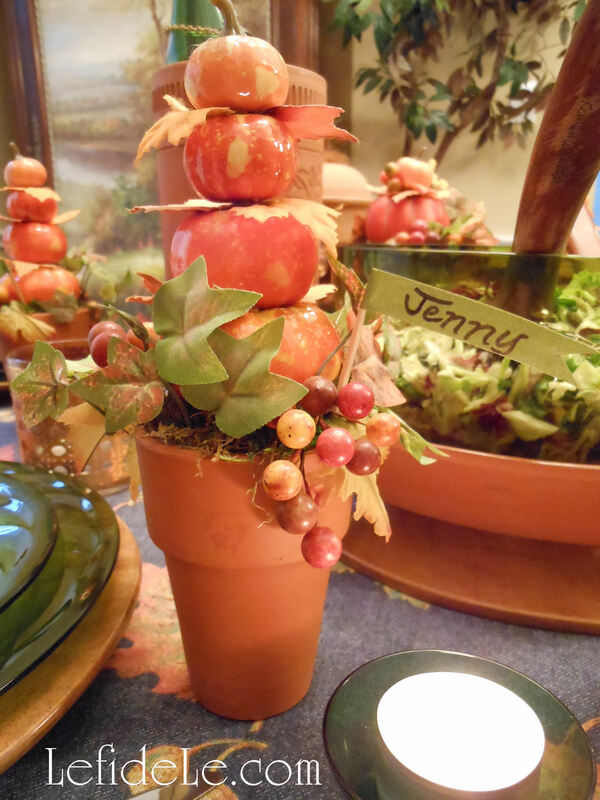 The blue color perfectly balanced the orange of my pumpkin topiary crafts that I made for place-card holders. 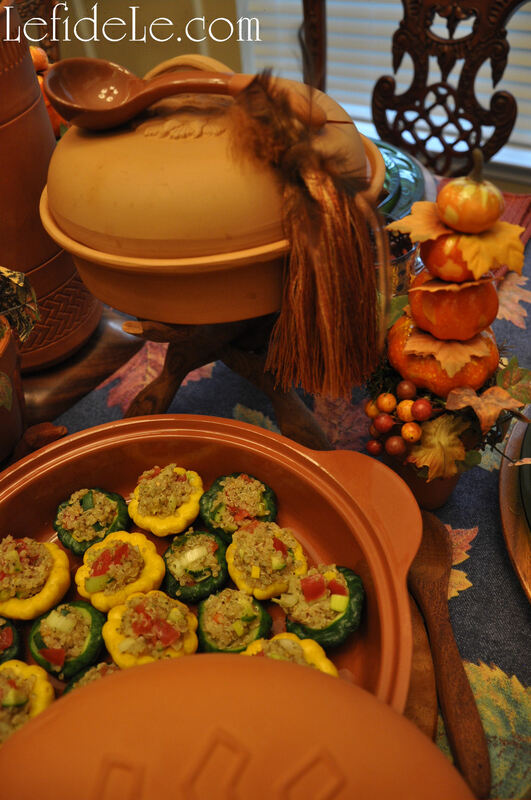 More color was added with green plates and green crystal votive holders. Deeply stained wooden bowls and chargers were utilized to reflect nature. Turning some upside down made stable pedestals for serving pieces. 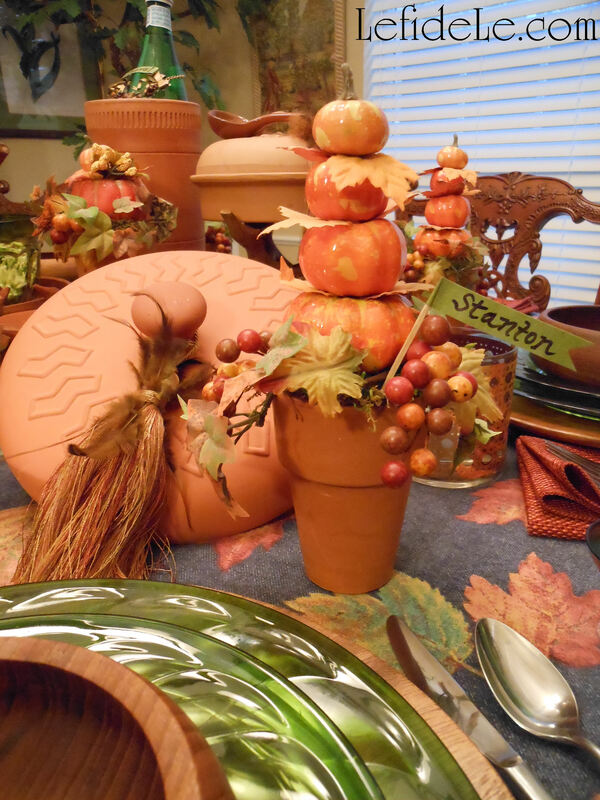 I chose terra cotta to echo the pots of the topiaries and because the covered dishes would better retain the warmth of the meal. Little tassels tied to the handles softened the hard look of the pottery. 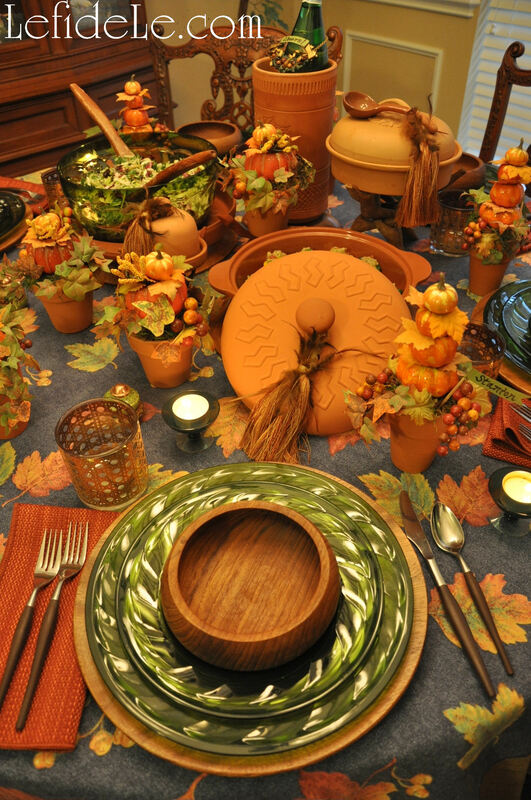 Wooden stands added interest and height to the tableware, thereby making the food the centerpiece. Bringing the floral out and the food in, contributed further to my untraditional Tablescape. 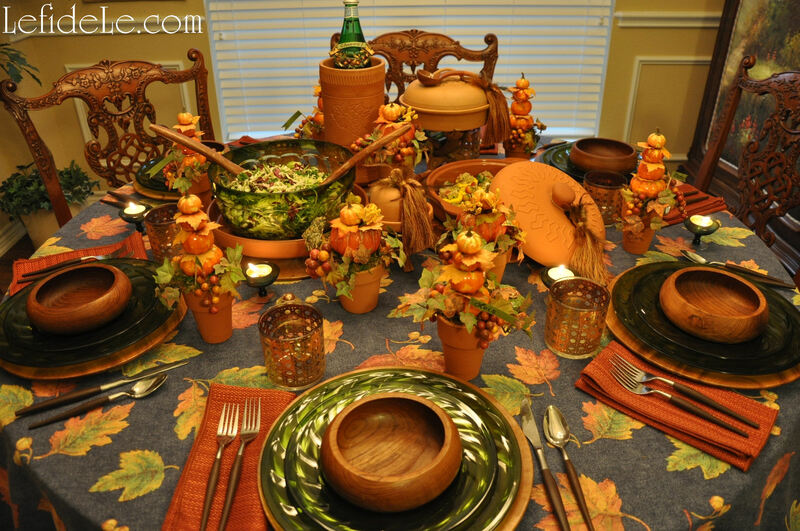 The silverware and golden basket weave glasses provided the finishing touches for the table, just as one would finish an outfit with jewelry. 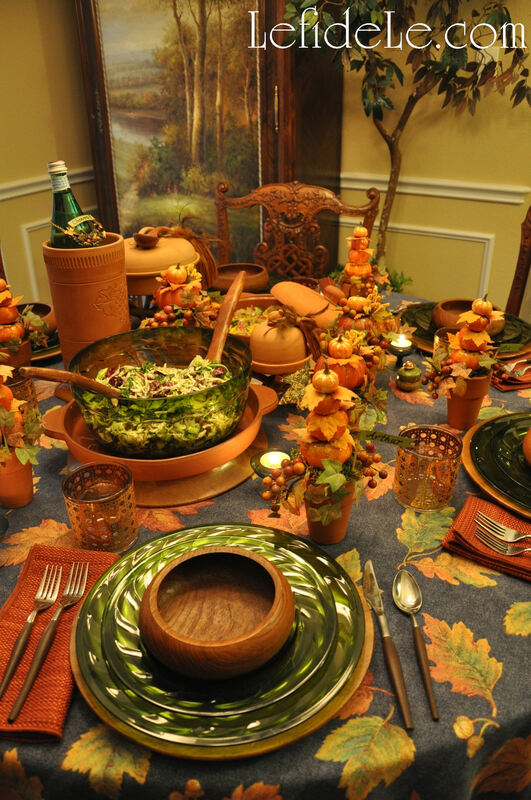 After the salad course was served, the wooden pedestal hosted turkey slices that had been carved in the kitchen. 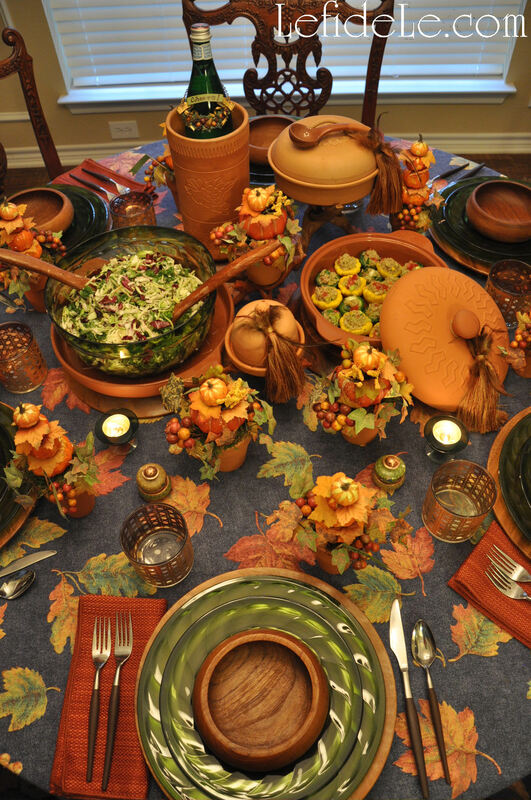 This is a lovely alternative for round tables where the turkey would make up the entire centerpiece otherwise. This way, no one has to look at the carcass for the remainder of the meal, which is a blessing to any vegans who were invited. 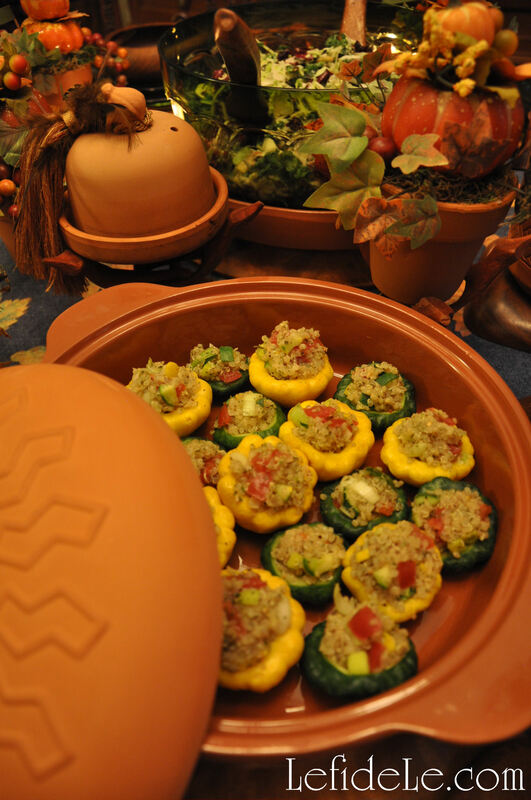 This is my healthy quinoa pilaf stuffed patty pan “mini” squash recipe which is Gluten-Free and Dairy-Free so that everyone may happily partake of the meal. Ground meat may also be added to make a complete meal. This is my quick and easy heart-healthy “shortcut cauli-potatoes” recipe that is also Gluten-Free and Dairy-Free. 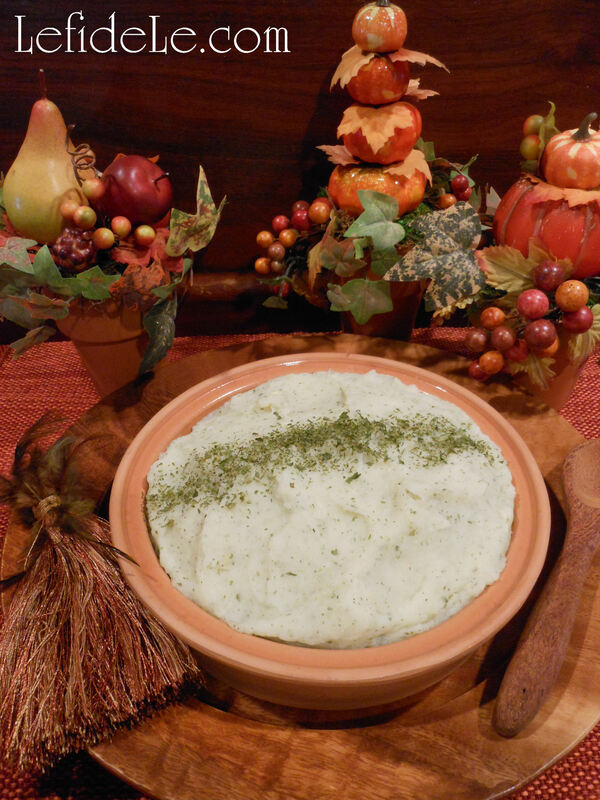 It’s great year round because it’s so healthy and so fast to prepare.